The National Chairman of the All Progressive Congress (APC) Adams Oshiomhole, has blasted erstwhile President Olusegun Obasanjo, for ceding Nigerian territory to Cameroon in quest for Nobel Prize for Peace. He said history will not forgive Nigerians if they failed to punish Obasanjo for this selfish act. 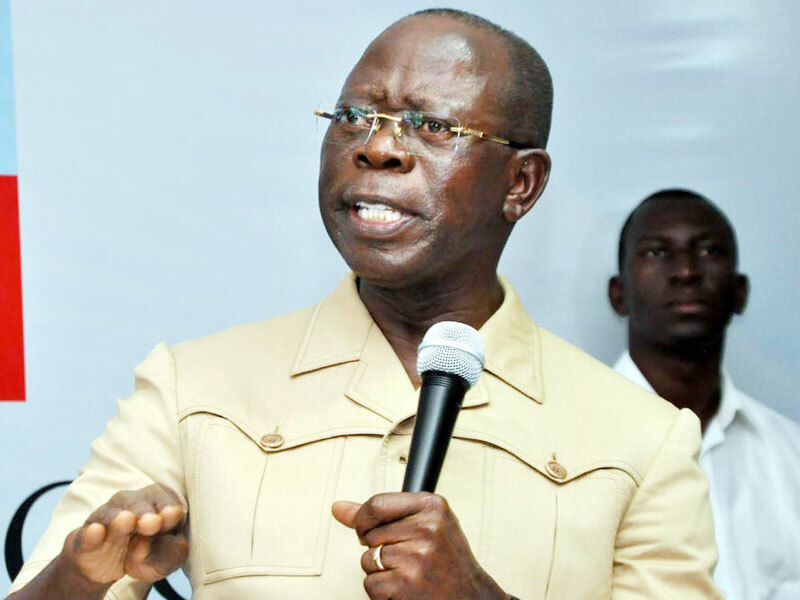 Oshiomhole stated this on Wednesday at the U. J. Esuene Stadium in Calabar, Cross River State capital during his presidential campaign rally in the state. Inviting President Buhari to deliver his speech, Oshiomhole knocked President Obasanjo for ceding Bakassi Peninsula to Cameroon. He said, “I want to remind the People of Cross River State that never, ever can you afford to forget a Nigerian leader in the person of former President Olusegun Obasanjo who ceded part of Cross River State to Cameroon because he was pursuing a noble peace prize award. He said that Nigerians should not forgive him. “We cannot forget someone who separated families, those who give the noble peace prize award, don’t give it to traitors, they gave it to people who had work hard, not for traitors, not for opportunist and not for those who bastardised their father land” he stated. Speaking, President Buhari assured Nigerians of healthy economy noting that Banks have been directed to give soft loans. “Honest Nigerians said that they knew what he was doing and they appreciated it especially in the area of corruption. If you votes for us in the forth coming elections, we shall do more,” he said.